Dishcrawl is offering a $20 gift certificate to the inaugural Winston-Salem Dishcrawl to one of our readers. The event will take place Downtown Winston-Salem on August 14 at 7 p.m. Dishcrawlers will find the meeting place 48 hours before the event begins. The rest of the crawl is (Shhh...) a secret! 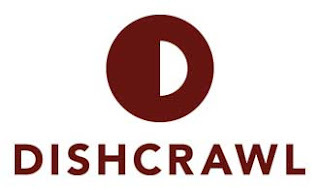 WHAT in the world is Dishcrawl? The concept is simple: You meet and then you eat. It's a culinary social networking event! The emphasis is on the social. Four restaurants in one night, with a small group of your yet-to-be-discovered foodie friends. On Nik Snacks, I posted an interview I had with Dishcrawl founder, Tracy Lee and a discount opportunity for Dishcrawl Greensboro back in April 2013. This time around the pot is sweeter and a little better! I've teamed up with my friend Janet from The Army Mom and we want you to eat, drink & be merry! Please enter the contest through the Rafflecopter widget below. A winner will be picked at midnight on August 13, just in time for the Dishcrawl in Winston-Salem on August 14! You will have until 5 P.M. August 13th to reply or another winner will be selected. I am so excited about this event and cannot wait to Dishcrawl with you! I wanna dishcrawl! Sounds like fun! hey guys free download movie from here.